☀【Natural of Life】：Gaze those exotic leaves in sparkling dense green foliage provide a natural,rest your mood and wonder. 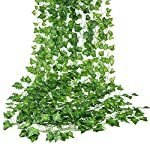 Amazingly life-like foliage bursting out of the basket or wall,Let you experience the joy of relaxing in the ideal Home of bright greeny.Artificial hanging Ivy Garland are ideal addition for your flower boxes and windowsills. 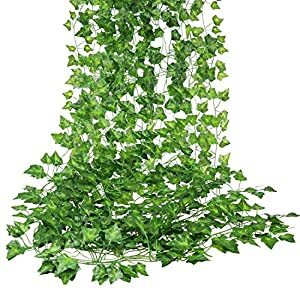 ☀【Certified Safety Material】：Our artificial English Ivy Vine Hanging Plant are all by Handmade of smooth silk and soft to the touch,100% SAFE ,ECO-Friendly, no malignant smell,You Can be assured to buy.They do not require any sort of special care. 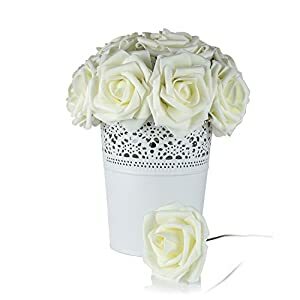 ☀【Wonderful Decorations】:Upscale look that is perfect for any landscaping project or decor style.Hang it on kitchen cabinet,wall decor,Wedding ,mirror, bedroom, living rooms, fences, enclosures, stairs, hallway, doors and anywhere you want a touch of naturalness.The multiple bushes give an interesting effect, while the 1000 leaves bring the forest straight to you. 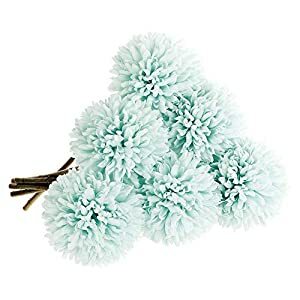 natural touch for your decor.Your families and friends would be deeply attracted,leaves bring the forest straight to you.The strands were easy to separate and hang, did not lose any leaves. Authoritative certification of SGS,Organic style to guarantee you 100% SAFE to make use of indoor / out of doors. 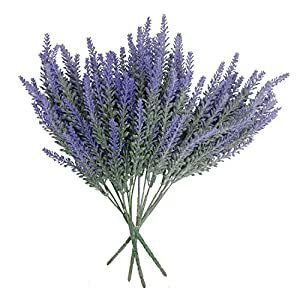 These branches will illuminate any occasion—Add greenery to home. 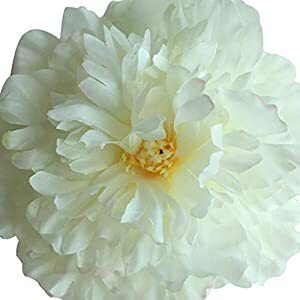 It may be used as foundation plantings for lots of gardens , and even backdrops defining garden beds and adding interest to it. Suit for Privacy Fence ,Weddings,kitchen cabinets,festivals,parties,home decorations, gardens, stairs, TV wall, sheds and lots of more. 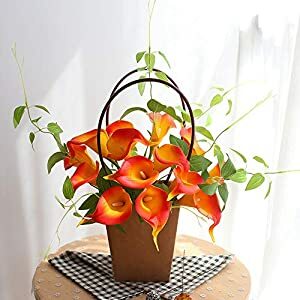 It is a artificial green plant, which is constructed of plastic and fabric material.Unlike this real plants This Vine will never die off and easy care for ,in order that It may be a nice decoration for a very long time . 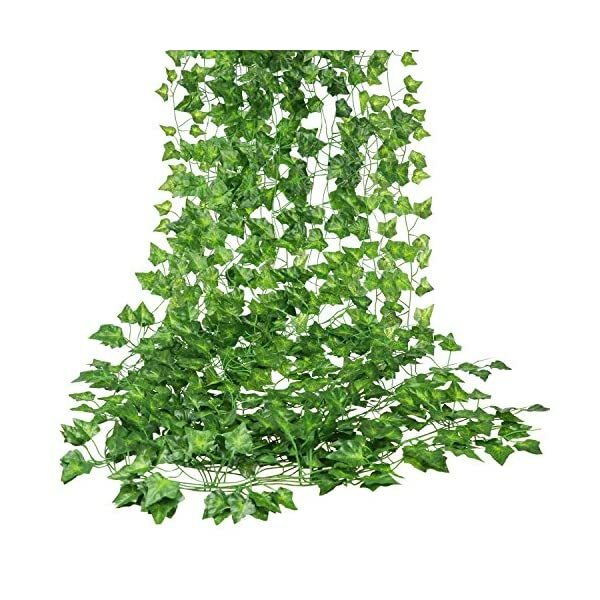 ☞ 12 Bunches ☜ Artificial Plastic Vine Leaves as picture show – Length: 84 Ft/25M. 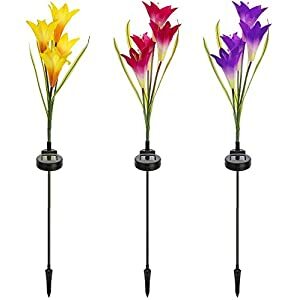 Material: Harmless 100% SAFE ,ECO-Friendly Plastic,Fabric. 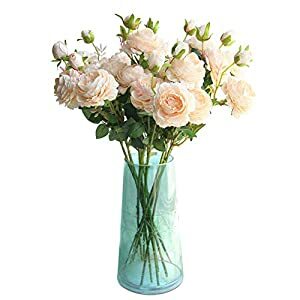 As a result of the faux plant is made with fabric and plastic, so there possibly will have some smell.Please put the vine placed in ventilated place for 1-2 hours .Banisters, bend, curve, and manipulate to create a number of different looks! ☀【Natural of Life】：Gaze those exotic leaves in sparkling dense green foliage provide a natural,rest your mood and wonder. 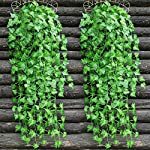 Amazingly life-like foliage bursting out of the basket or wall,Mean you can experience the joy of relaxing within the ideal Home of bright greeny.Artificial hanging Ivy Garland are ideal addition on your flower boxes and windowsills. 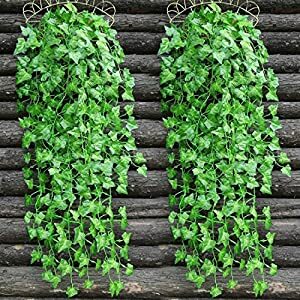 ☀【Certified Safety Material】：Our artificial English Ivy Vine Hanging Plant are all by Handmade of smooth silk and soft to the touch,100% SAFE ,ECO-Friendly, no malignant smell,You Will also be assured to shop for.They don’t require any type of special care. ☀【Wonderful Decorations】:Upscale look that may be perfect for any landscaping project or decor style.Hang it on kitchen cabinet,wall decor,Wedding ,mirror, bedroom, living rooms, fences, enclosures, stairs, hallway, doors and anywhere you need a touch of naturalness.The a couple of bushes give an enchanting effect, at the same time as the 1000 leaves bring the forest straight to you. ☀【Feature】: Long Size 12PACK – Garland length: approx. 84 inches/ 2.15m every, big leaf size: approx. 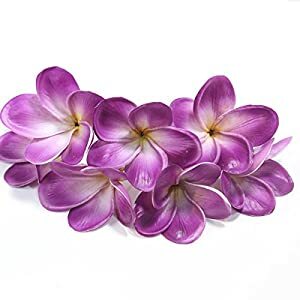 4.5cm*4.5cm / 1.77″* 1.77″, small leaf size: approx. 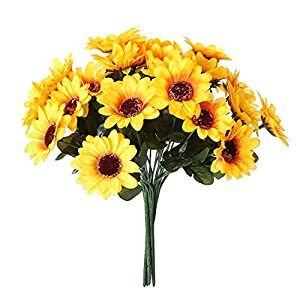 3.5cm*3.5cm/1.37″*1.37″. 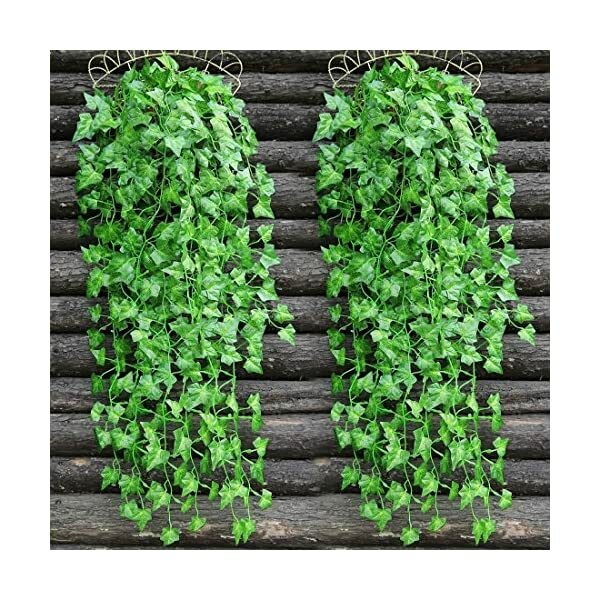 ☀【Life-Like】:Our Artificial Ivy Leaf Garland Plants. 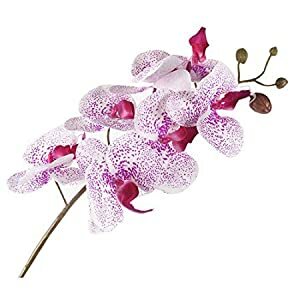 Featuring wonderful, shapely leaves and green hues, looks lifelike and will add elegance for your landscape.Very easy to install and disassemble,and Leaves is not going to fall off!